Using renewable electricity rather than fossil fuels, like gasoline or diesel, gives Manitoba increased energy security, reducing our vulnerability to price hikes and political instability elsewhere. Fuel costs for electric vehicles are dramatically less for drivers than petroleum today, and petroleum costs continue to increase. Less money spent to pay for fossil fuel imports means more money spent locally in Manitoba’s economy, benefiting everyone. And using renewable electricity instead of fossil fuels dramatically reduces emissions: greenhouse-gases (GHG) that lead to climate change; smog pollutants that harm our health and cities; and fuel spills that affect water, wildlife and people. The future of energy, however, is never certain, and a measured approach to moving forward on electric-powered transportation is important in order to fully understand impacts. Drive Electric Manitoba is a website created to provide information and answer questions for the purpose of helping people make good decisions about driving electric vehicles in Manitoba. This website is a joint initiative supported by the Government of Manitoba, Manitoba Hydro, CAA Manitoba, Red River College and Manitoba Public Insurance. Plug-in hybrid electric vehicles (PHEV) operate using a combination of a conventional motor powered by gasoline or another liquid fuel, and an electric motor powered by electricity stored in on-board batteries. What distinguishes the PHEV from conventional hybrid vehicles is the ability to recharge their batteries using grid-based electricity. For Manitoba, with electricity that is both low-cost and among the most renewable in the world (i.e., 98% renewable grid-mix), PHEV technology translates to both lower fuel costs and reduced emissions. At the same time, given the conventional engine, PHEV avoid the constraints and risks of being solely electric. With PHEV, people can still drive normally, whether for work or pleasure, but do not consume as much fossil fuel. The demonstration involved ten Toyota Prius units converted to PHEV using technology from A123Systems Inc., and has been one of the largest demonstrations of its kind in Canada. All vehicles were operated in public-sector fleets in the vicinity of Winnipeg, with performance monitored for a three year period. The purpose of the demonstration was to test vehicles under real-life conditions in order to better understand advantages, and to identify and address potential issues, setting the stage for the broader introduction and adoption of commercially-available PHEV and all-electric vehicles in Manitoba. 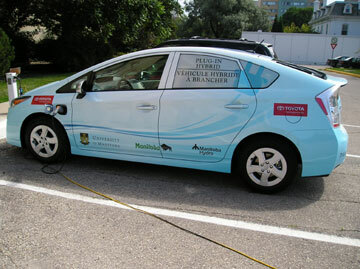 Manitoba has already become a leader in the area of testing of PHEV and electric vehicles. The first vehicle conversion under the demonstration was undertaken in the Fall of 2008. The remaining nine vehicles were done in the Spring of 2009, with the latter conversions undertaken at Red River College. Performance monitoring was completed in the Fall of 2011. The demonstration was administered by a non-profit organization, the Centre for Emerging Renewable Energy Inc. Cold weather operation represents an important requirement for vehicles in Manitoba, and cold weather issues with the test vehicles were addressed. Focus of the demonstration was on confirming the performance of the technology rather than economics, but the PHEV test vehicles showed operating cost advantages. Significant emission benefits were estimated for PHEV operation within Manitoba through shifting energy requirements from gasoline to electricity. Annual operational reports were prepared at the end of each year of the demonstration, as well as a brief overall summary report, all public in nature. A survey of consumer attitudes was also undertaken as part of the project, to be released separately. Manitoba has been actively facilitating partnerships with automakers, electric technology providers, Manitoba Hydro, Manitoba companies and other others. One key purpose is to demonstrate the operation of vehicles under real-world conditions within Manitoba, and to understand how they perform under Manitoba’s unique climate conditions (i.e., cold weather) and how vehicles may be adapted to enhance performance here. Manitoba, together with Manitoba Hydro and the University of Manitoba, are partnering with Toyota Canada to test drive Toyota’s new Plug-in Hybrid Vehicle (PHV) version of the Prius. Testing began in July 2010 and continues for approximately one year. 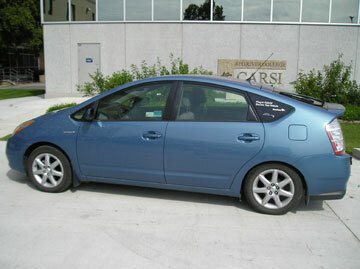 This vehicle is a factory designed and built plug-in hybrid developed by Toyota, as opposed to the after-market conversions of Toyota Priuses used in the Manitoba PHEV Demonstration. Information about the performance of the vehicle will be provided by the end of the project. Manitoba signed a memorandum of understanding (MOU) with Mitsubishi Motor Sales of Canada, which enables the company to use Manitoba as a proving ground in the further development of its global i-MiEV electric vehicle. 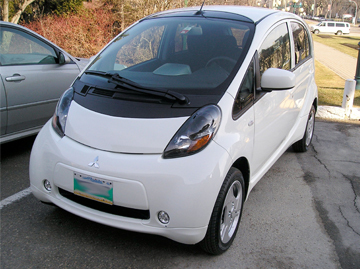 Two European version models of the i-MiEV are being operated in Manitoba for a three-year period, starting in April 2011 through to March 2014. Information about vehicle performance will be provided through the course of the project. 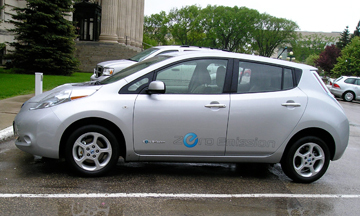 A North-American version of the i-MiEV will be commercially available by Fall 2011. Manitoba, together with Manitoba Hydro, has signed a memorandum of understanding (MOU) with Nissan Canada to investigate the advancement of electric-vehicle implementation, Including the testing of a number of Nissan Leaf all-electric vehicles under Manitoba conditions. 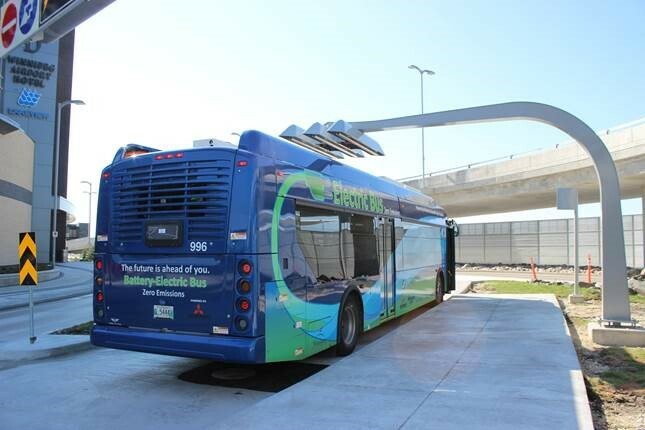 On November 30, 2015, the Province of Manitoba and the City of Winnipeg announced the formation of a Joint Task Force to investigate the electrification of transit, in particular the potential to implement electric transit buses in the City of Winnipeg. Prepare a report that captures the above assessments, including a presentation to City of Winnipeg and Province of Manitoba. The Task Force began its work in January 2016, and held regular meetings until the completion of the Summary Report. The Task Force continues to identify emerging trends in the industry and assess new opportunities for transit electrification. The Task Force report is available for download here.